While prices of the fish saw a boom and a bit of a bust earlier this decade, the arowana remains a popular luxury accessory across Asia. 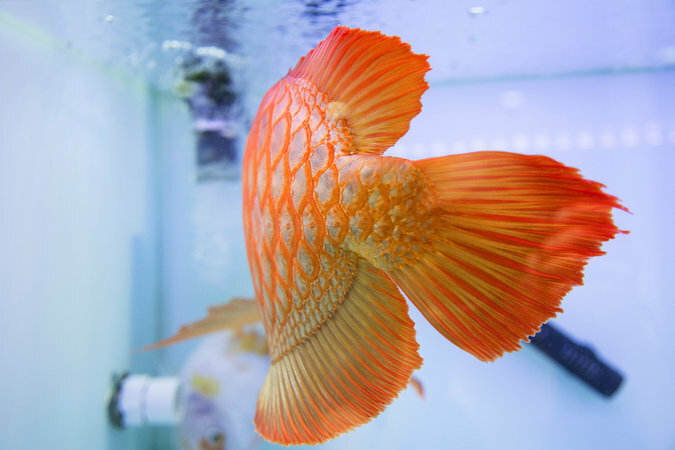 Wealthy Chinese businessmen in particular prize the fish — with its large glimmering scales, sage-like whiskers and aggressive personality — for its resemblance to the mythical Chinese dragon. Adding to the allure are the often-repeated tales of arowana that sacrifice their lives by jumping out of tanks to warn owners about a bad business investment or other potential dangers. For those reasons, aficionados call the arowana the king of the fish, emperor of the tank, a dragon among mere mortals. Breeders used DNA technology to hone the traits of a “perfect” fish, and neon pink tanning lights are a common feature in tanks to enhance the fish’s reddish hue. “For Chinese, keeping fish is about bringing good luck and wealth, and the Asian arowana are especially lucky,” said Kenny Yap, the executive chairman of Qian Hu Fish, one of the top arowana breeders in Singapore. 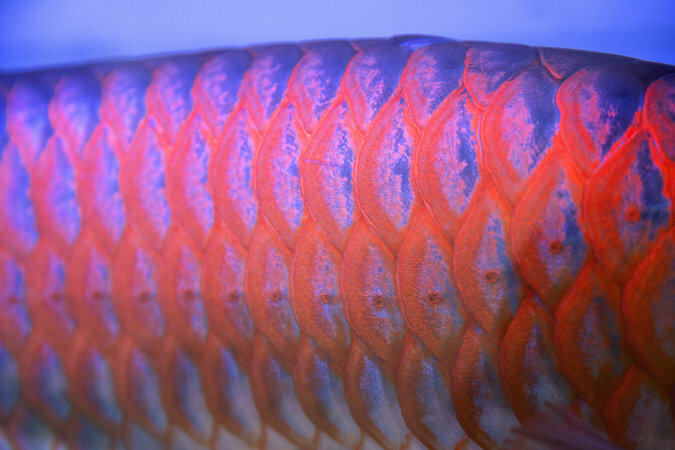 Perhaps nowhere is the obsession more apparent than here in this tropical city-state, a hub of the global ornamental fish trade and home to a thriving network of breeders and hobbyists dedicated to the Asian arowana (not to be confused with the silver arowana, its South American cousin). The fish has become so deeply ingrained as a status symbol that it was even featured in the latest installment of Kevin Kwan’s “Crazy Rich Asians,” a popular series of novels about the lives of Singapore’s elite, in the form of a $250,000 super red arowana named Valentino. “Singaporeans are crazy about the fish,” said Emily Voigt, the author of “The Dragon Behind the Glass,” a rollicking account of her transcontinental journey into the murky world of the arowana. “For Chinese, keeping fish is about bringing good luck and wealth, and the Asian arowana are especially lucky,” said Kenny Yap, the executive chairman of Qian Hu Fish, a top arowana breeder in Singapore. At one point, Ms. Voigt said, the global craze for the fish reached such a frenzy that even in Singapore, where the crime rate is so low that a stolen delivery parcel makes headlines, there were four arowana heists in one week. During one of the robberies, the thief punched an elderly woman as he ran away with her fish in a sloshing bucket. In a separate episode, a Singaporean man was sentenced to three years in prison and 12 strokes of the cane for trying to steal arowana from a shop. The prominence of the Asian arowana is a sharp reversal in fortune for a fish that half a century ago was considered by locals in its natural swamp habitat of Borneo and Indonesia to be a common food fish — and a rather bony and tasteless one at that. Experts say the turning point came in 1975, when the Convention on International Trade in Endangered Species of Wild Fauna and Flora, signed by 183 countries, banned the fish from international trade. By classifying it as a rare species, some say, the treaty elevated its status as a luxury item. The price of arowana crashed around 2012 as breeding farms flooded the market, but despite the sharp dip, the fish remains an aspirational luxury good. After the ban, a booming black market for arowana emerged. Smuggled arowana were turning up in countries around Asia and later in the United States, where it is still banned. The overwhelming demand had a devastating effect on the wild population of arowana. So starting in the late 1980s, restrictions were loosened to allow trade of farm-bred arowana whose parents were also born in captivity. While the wild arowana never recovered, trade in captive-bred arowana flourished, reaching a peak in the 2000s as buyers in mainland China jumped into the game. Breeders used DNA technology to pinpoint characteristics in a bid to create a “perfect” fish: straight feelers, bright eyes, large and round fins and tails and shimmering red scales. Neon pink tanning lights became a common feature in tanks to enhance the fish’s reddish hue. But around 2012, the price of arowana crashed as breeding farms flooded the market. While prices have somewhat bounced back in recent years, big farms like Qian Hu have begun breeding other species. Despite the sharp dip in prices, the arowana remains an aspirational luxury good and a point of obsession for many Singaporeans. 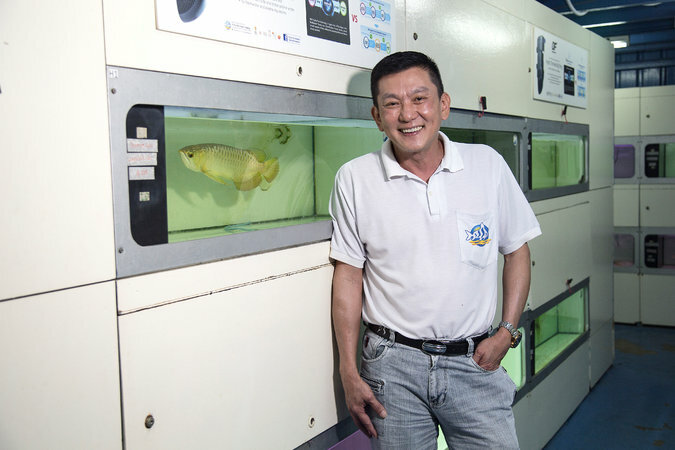 As a young boy growing up in Singapore, Nicholas Chia always dreamed about having an arowana. Then, last year, he finally bit the bullet and bought his first one. Since then, he has acquired five more. Now, he keeps his prized fish in six large tanks that take up a third of his living room.